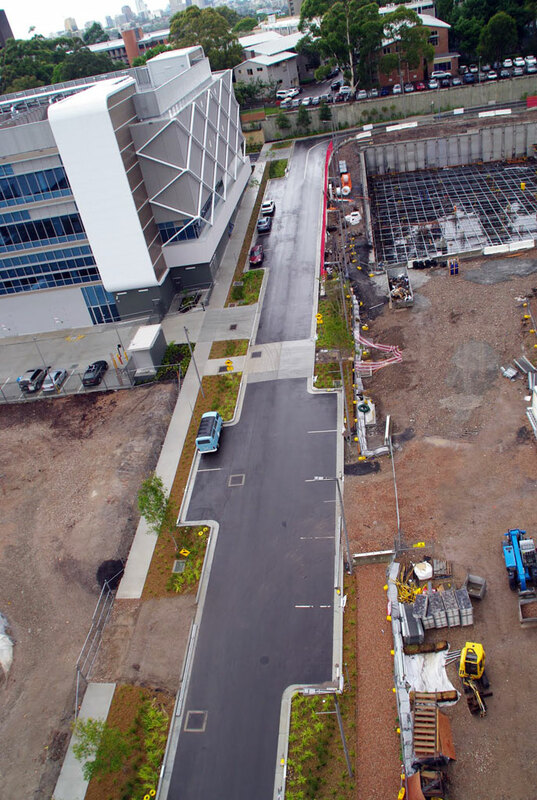 Broadcast Way is a new estate road built to service the buildings that will comprise the new Gore Hill Technology Park currently under construction for Lindsay Bennelong Developments on the Pacific Highway at St Leonards. 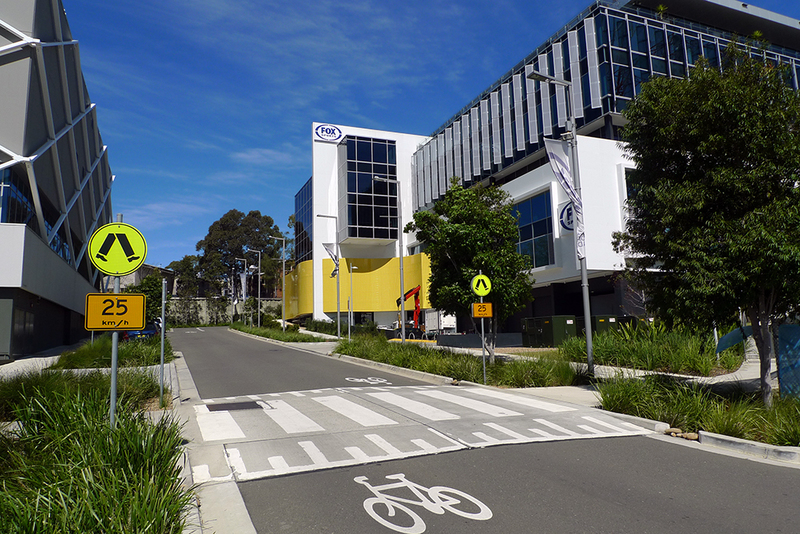 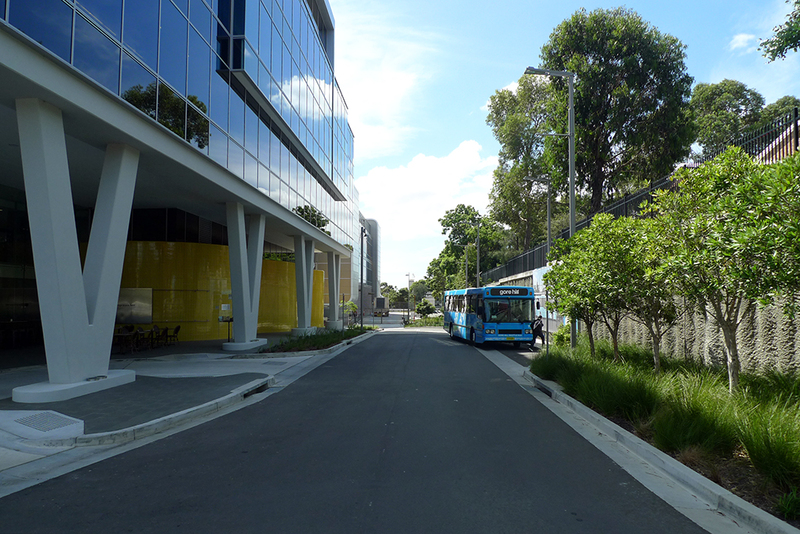 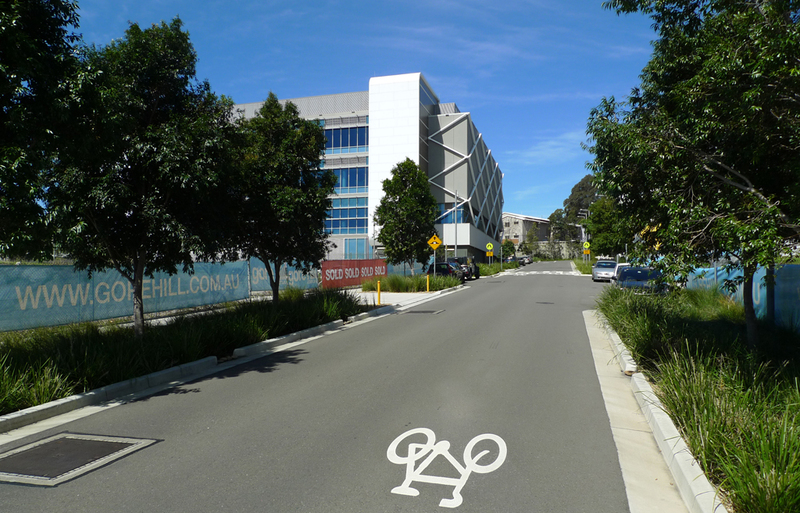 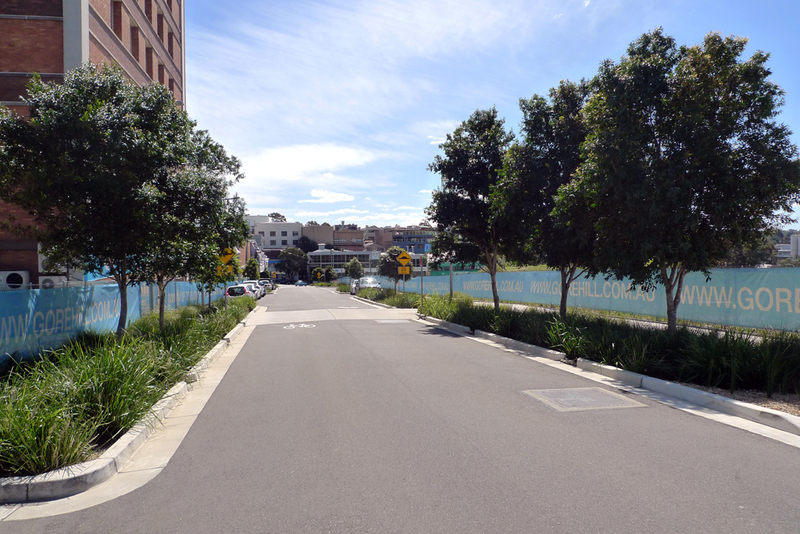 The infrastructure functions of Broadcast Way and its landscape precinct are many and they include: vehicular and pedestrian circulation within the Technology Park; service corridors for a wide variety of underground utility services, communications conduit bundles plus stormwater arrangements; planted ‘rain garden’ biofiltration swales to capture and filter stormwater runoff directly from the road surface and where possible the provision of a generous root zone to accommodate and sustain large street trees. 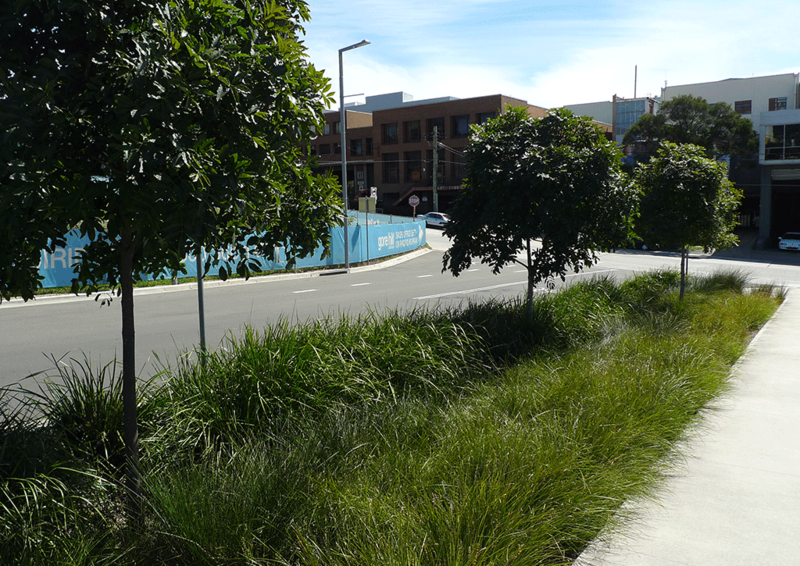 The labyrinth of undergrounded services has precluded an uninterrupted row of street trees and the visual continuity of Broadcast Way is attained by the regular spacing of elegant Guzzini light and flag posts. 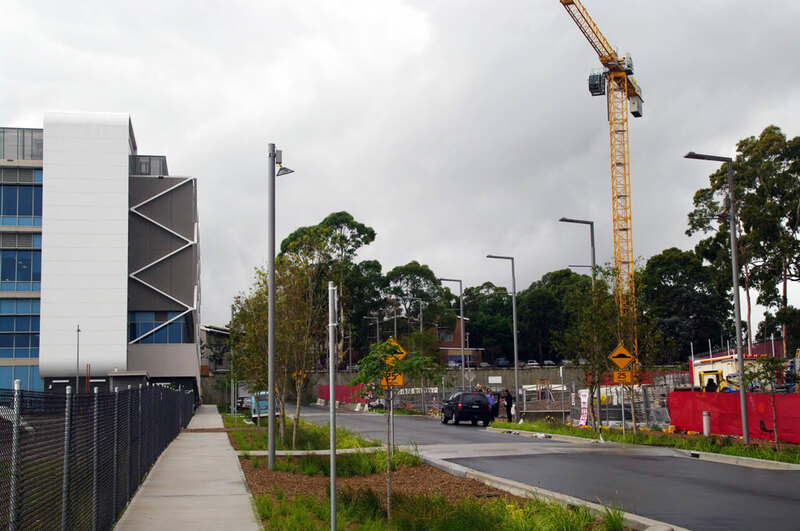 PGA worked closely with Northrop Consulting Engineers whose role was services co-ordination in addition to civil and stormwater engineering services.